Nucific BIO X4 is a 4-in-1 probiotic-based nutritional supplement that claims to be a new and revolutionary compound which helps suppress appetite, improves digestion and supports your weight loss efforts. Whether you have just started with a weight loss regimen or you have been doing it for an extended period, Nucific BIO X4 could offer you all the health support you need. Read below if you want to dive in and go deep inside the rabbit hole for an incredibly detailed review of this product. 3 What is BIO X4 and Who is Nucific? 4 Nucific BIO X4 Side Effects. Is It Safe? 5 Bottom Line: Is Nucific BIO X4 Worth the Trouble? Unfortunately, our modern day society is infected to its core with toxic food. Scientists and activists have made significant efforts of letting us know this, and they keep warning us of the hazardous chemicals and modified sugars which poison our food chain. The sad truth is that not even half of the food that is available in supermarkets and fast food joints can be classified as real food, much less nutritious food for our bodies. This is only one of the reasons for which society is plagued with a great epidemic of obesity and a never-ending list of noxious health issues. The problem is also the fact that every day we’re being assaulted with tempting advertisements which lead us to stuff our bodies with lots of this lab manufactured “food.” We don’t even have time to think anymore about how our body sees all this and about how it tries to use it for energy production. We’re not aware of the severe consequences that we are experiencing, and humanity itself will eventually face down the road. In the very beginning, our body was designed, and it has evolved to consume real natural foods which are found in nature such as fruits, vegetables, and protein-rich meats. There were times in our history when all food was organic, even if this sounds almost too good to be true. In today’s world, it’s almost sickening that organic products have special stickers applied on them saying “organic” or “free-range, grass-fed.” We can assume that all the other products are either genetically modified and stuffed with preservatives and chemicals or they’re not even “food” at all. The real trouble and fight begin when these become part of our bodies. When we consume lots of organic veggies, fruits, and healthy meats, our bodies do not have trouble processing and using them to fuel itself with energy. However, when we’re cramming ourselves with unwanted toxic chemicals and ingredients from processed foods, our bodies don’t know how to use them as “foods, ” and often these substances will end up stored as fat. The worst part of this calamity in our modern world is that it’s almost impossible to avoid eating toxic ingredients because they have found our way into the very roots of our food chain. The answer is not as simple as avoiding any toxic foods in the first place and only consuming organic ones. A smarter solution may be to take advantage of the same scientific discoveries and advancements which have led our world into this mess by tainting our food chain with toxic chemicals, artificial ingredients and so on. 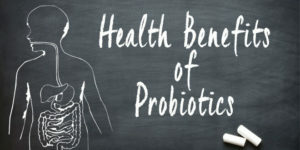 We can replace this tendency of modern science to deteriorate our health, and we can use it in our favor by trying the newest cutting-edge probiotic supplements with lots of benefits for our health. Even if the word bacteria brings unpleasant images into our minds, we should be more than eager to consume foods and supplements with probiotic composition with billions of live organisms which turn our body into their home. This might sound terrifying, and such an idea might seem related to horror sci-fi movies. But we’re already aware of the many benefits good bacteria have to offer for our health. Naturally, we carry more than 500 species of bacteria in our bodies, and some of these are more beneficial than others. Sometimes their number decreases and in such cases we must take action to make sure we’ll stay healthy. 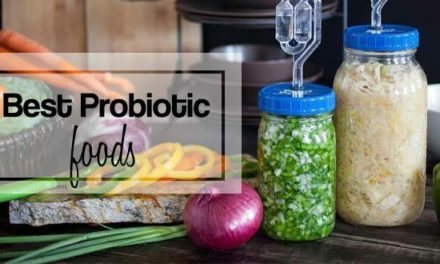 Probiotics live inside our entire digestive system, especially in the colon, making sure they promote an easy digestion and that they contribute to a healthy and normal absorption of nutritional substances. 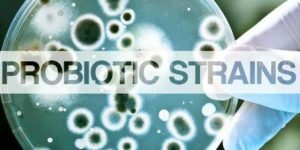 Our immune system can be strengthened with help from probiotics, and that’s why most supplement manufacturers make sure that they include them in their products. Such a supplement is Nucific BIO X4 which is said to be a one of a kind robust and potent blend of scientifically proven nutritional ingredients for weight management and digestive support. What is BIO X4 and Who is Nucific? Nucific BIO X4 is a proprietary digestive enzyme blend that includes a 4-in-1 weight loss supplement which uses the power of probiotics, and it offers the benefits of some traditional weight loss ingredients to help you lose weight faster and more efficient. The supplement also claims to promote bowel regularity and a healthy immunity, and it seems that it can also reduce cravings, boost metabolism and promote an easier digestion and a proper absorption of fats, carbohydrates, and proteins. BIO X4 is a supplement manufactured by Nucific Inc., a company located in Tarzana, California. The manufacturer states on their official website that all of their products are made in the USA and that they’re formulated, packaged, tested and shipped in California. Nucific also emphasizes the fact that 3rd party labs test their products including BIO X4 to make sure they’re pure and potent. The presentation behind Nucific BIO X4 is lead by Dr. Amy Lee who is a Certified Bariatric Physician specialized in internal medicine and natural nutrition. Dr. Lee is the founder and director of the Integrated Wellness Center in Los Angeles, CA and she owns prestigious degrees from the American Board of Internal Medicine, National Board of Physician Nutrition Specialists and American Board of Obesity Medicine. Dr. Lee’s healthy weight management approach is rooted on avoiding three unhealthy foods (sugar-laden yogurt, high-fructose corn syrup HFCS wheat bread, sugar and HFCS cereal bars) and on consuming four natural weight loss boosters and digestion helpers. Dr. Lee strongly advises us to avoid a carbohydrate in olestra/olean (banned in Europe, China, and Canada) a Procter and Gamble creation, a calorie and cholesterol fat-free substitute. She points out that carbs, sweets, and gluten are ok to eat only in moderation, but we should stay away from soda, diet soda, and pop. Dr. Lee made a video in which she explains all of these and also reviews the Nucific BIO X4, so you should watch it to gather all the info, facts, and figures that Dr. Lee points out. Digestive Enzyme Blend: 88mg – Amylase (from Aspergillus Oryzae), Bromelain, Lipase (from Rhizopus Oryzae). It is also stated that the product is 100% natural and that it contains no GMOs (genetically modified organisms). It’s also gluten and allergen free. The product lacks lactose and any other ingredient of animal origin. Therefore, it’s presented as vegetarian and fit for any diet. The product doesn’t contain fillers. Let’s have a look at every compound from Nucific BIO X4’s composition and the benefits they might have for the body. It can increase HDL (good cholesterol) while lowering the LDL (bad cholesterol). It can also lower blood pressure, protecting the heart’s health and it decreases the level of triglycerides. 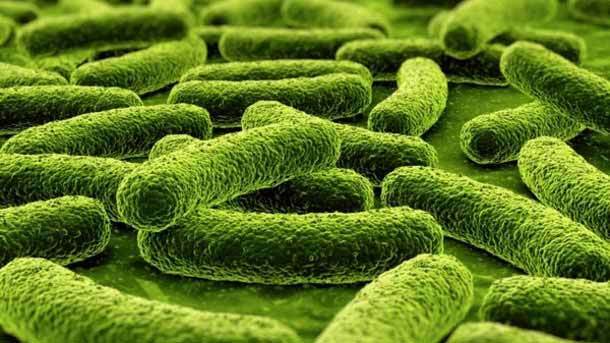 Lactobacillus Acidophilus reduces dyspepsia meaning a high number of harmful digestive bacteria. It can also reduce some stress-related intestinal problems, and it can prevent or relieve ulcerative colitis symptoms. 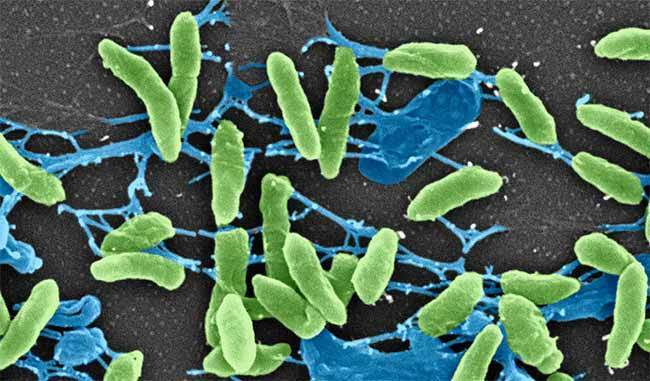 The bacteria are also beneficial for preventing or treating antibiotic-related diarrhea. Lactobacillus Acidophilus can also decrease the symptoms of a leaky gut and lactose intolerance while preventing the Irritable Bowel Syndrome. The probiotic is also beneficial in preventing symptoms such as nausea, cramping, flatulence in patients on antibiotics. It can successfully prevent diarrhea in babies, and it can also increase preterm infant’s weight gain. Lactobacillus Acidophilus fights viruses with targeted antibodies, and it can enhance vaccine effectiveness. It will prevent respiratory infections, and it will successfully treat vaginosis/vaginitis and Candida overgrowths. This probiotic also prevents and reduces H.pylori (stomach ulcers) and E. coli infections. 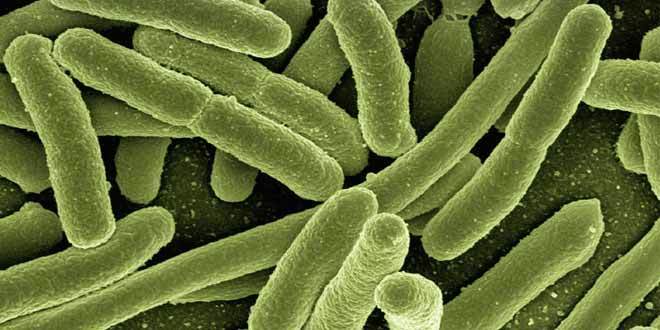 Lactobacillus Acidophilus fights the syndrome of pink eye. Lactobacillus Acidophilus produces B vitamins and other beneficial nutrients; it enhances calcium absorption, and it improves the appetite. Lactobacillus Acidophilus reduces the symptoms of anemia, and it decreases the risk for kidney stones. Numerous studies have shown that these bacteria enhance protection, and they’re also linked to a reduction of allergenic rhinitis and other allergies. According to research, Lactobacillus Rhamnosus probiotic can stop children’s allergic reactions to peanuts. This bacterial strain has been shown to have beneficial properties of preventing rotavirus diarrhea in children and also in adults. It reduces the risk of developing respiratory infections in case of children who use the probiotic. Lactobacillus Rhamnosus has proven it is also beneficial in treating and preventing atopic dermatitis and eczema, and more skin conditions in children with high risk for allergies. Lactobacillus Rhamnosus appears to protect the urogenital tract by inhibiting the adhesion of urinary and vaginal pathogen substances. Studies have shown that this strain of bacteria can reduce intestinal permeability in children with Irritable Bowel Syndrome and it can also prevent alcohol-related intestinal permeability. It can prevent various gastrointestinal conditions. Research and studies have reported the fact that Lactobacillus Rhamnosus may have beneficial effects on GABA neurotransmitter receptors. In other words, it reduces the levels of anxiety and stress hormones. 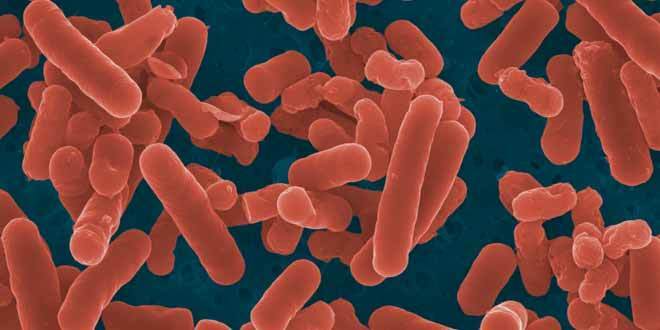 Lactobacillus Rhamnosus can increase weight loss in dieting women, according to scientific research. Studies showed that the gut bacteria in obese patients differ very much from those in normal weight individuals. According to a study performed by the Journal of Nutrition in 2006, Bifidobacterium Lactis was found to reduce the risk of contracting diarrhea from changing water sources and environmental changes when traveling. Consuming enough bacteria showed important beneficial properties. According to the National Center for Biotechnology Information, Bifidobacterium Lactis helps in the relief of constipation, especially in adults. 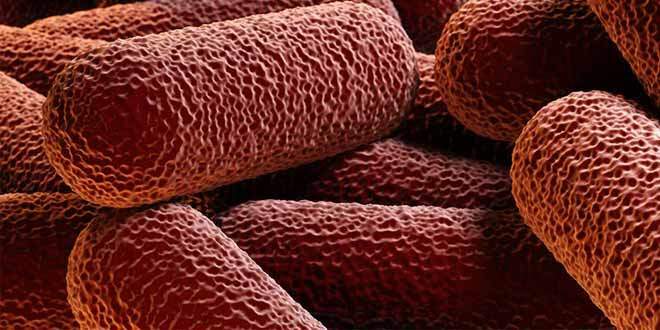 Bifidobacterium Lactis has beneficial microorganisms that can help the colon eliminate toxic waste. Promoting a good colon health leads to reduced odds of experiencing inflammation of the colon. Research published in the British Journal of Nutrition proved that this strain of bacteria could improve immunity and can also promote an increase in cellular immune function. Bifidobacterium Animalis uses a fermentation process to convert carbohydrates into chemical compounds such as hydrogen peroxide and lactic acid, enabling beneficial probiotic dominance in the intestinal regions. Clinical studies have shown that Bifidobacterium Animalis is very efficient in reducing the symptoms of Inflammatory Bowel Syndrome and Crohn’s Disease. 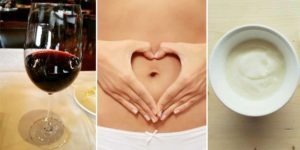 This probiotic can also reduce bloating and constipation in women, and it can be very helpful for individuals who suffer from abdominal discomfort and flatulence because it can replenish their intestinal flora. Also, patients with lactose intolerance might experience some reduction in gas. Studies found that children who consume supplements with Bifidobacterium Animalis experience a decreased number of cold symptoms and their immunity become stronger. Amylases are vital to our digestive processes because they’re needed to handle starches which are a source from which we derive glucose. The pancreatic amylase passes through a duct to reach our small intestine, and it completes the digestion of carbohydrates. The amylase in our body breaks down starch into sugar and other enzymes. Foods with a high concentration of starch include grains, bread, rice, pasta, beans, potatoes, corn, and peas. If it weren’t for amylase, our body would not be able to process these foods to obtain energy. It may help lower the body’s autoimmune responses. The research found that this digestive enzyme can help slow down the aggregation of antigens, the molecules which trigger immune responses. It can also slow down the tissue damage from the heightened conglomeration of antibodies. Some studies have also shown that there is a strong possibility that amylase can boost the immunomodulatory activity. It reduces swelling and redness. Studies have shown that this enzyme is effective in reducing swelling and in the case of patients with a rheumatic disease they are as effective as potent drugs without harmful effects. A study from 2013 published in the Journal of Clinical & Diagnostic Research showed that for diabetic subjects with high blood sugar levels, the amylase in their bodies was significantly lower. This showed the malfunctioning of the pancreas and also the importance of a healthy organ producing enough amounts of amylase. The enzyme can maintain normal blood sugar levels, and it can reverse diabetes symptoms. It can be used as an alternative cancer treatment. Holistic treatments for cancer usually include into their plans digestive enzymes. The pancreatic enzymes are thought to be the primary agents with direct anticancer effects. It can monitor stress levels. Chronic stress is dangerous for our health and, according to some studies, and the salivary amylase is strongly related to stress levels. Therefore, it can be used as a parameter for the measurement of stress levels in humans. It is an effective remedy for swelling and redness. In Europe, bromelain was approved as a treatment for post-surgical swelling and studies have shown that it can also stop bruising, speed up the healing time and reduce pain and discomfort. 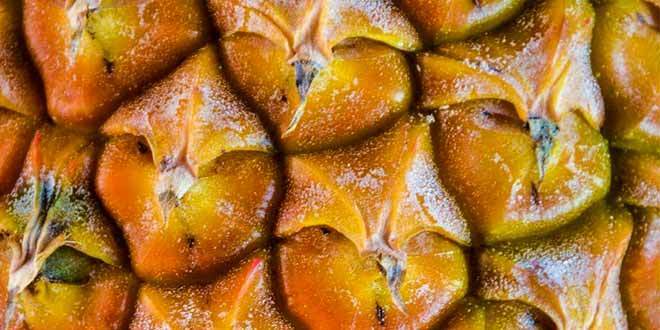 Some research has proved that bromelain is effective in reducing swelling and discomfort in the sinus areas. It reduces swelling after sports injuries. Bromelain seems to speed up the healing time after physical injuries, and it can also reduce swelling related to strains, sprains, bruises and some other muscle injuries. It is beneficial in relieving mild discomfort related to osteoarthritis, and it’s a common ingredient in supplements for sore muscles and joints. It is helpful for varicose veins and hemorrhoids. In alternative medicine, bromelain is used to maintain cardiovascular health and different vein-related conditions. It reduces indigestion and heartburn. Studies show that bromelain is effective for reducing heartburn and indigestion and it can successfully fight gas, bloat and other symptoms of irritable bowel syndrome. It balances the acidity in the stomach. Bromelain can help balance the acidity in the stomach and the alkalinity of the small intestine. Studies have shown that it’s also beneficial in easing harmful bacteria related to diarrhea. It boosts the overall immunity of the body. A German study involving 16 breast cancer patients proved that oral supplementation with bromelain helped stimulate the immunity in women. Bromelain can boost the amount of some immune system hormones. It is also beneficial against allergic symptoms, and it relieves asthma effects. It fights bronchitis, pneumonia, and urinary tract infections. It maintains healthy levels of pancreatic enzymes. Studies conducted in France have shown that concentrations of digestive enzymes such as lipase lower as we grow old and this confirms the fact that lipase supplementation can fight the altering of pancreatic secretions. Improves the symptoms of Celiac disease. 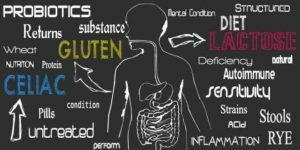 Celiac disease is a digestive condition which does not permit the digestion of proteins from gluten. Studies have shown that lipase helps in gaining weight and it can also keep nutrients in the body. Improves the symptoms of indigestion. A clinical study from the University of Maryland Medical Center found that supplementation with lipase can reduce the symptoms of indigestion such as the sensation of being overly full, bloating and flatulence after a high-fat meal. It helps in case of cystic fibrosis. Cystic fibrosis causes the digestive system to produce excess mucus, and it also creates nutritional lack caused by the fact that mucus stops the pancreatic enzymes to reach the intestines. Supplementation with lipase can reduce symptoms and can help us get the nutritional components from the food. Increasing enzymatic secretions leads to an improved immune system and also reduces bloating, abdominal pain, nausea, vomiting, gas, heartburn, and loss of appetite. Lipase also boosts the absorption of minerals and vitamins from food. It is beneficial in fat digestion and weight control. Research has shown the fact that lipase can increase the body’s ability to digest fat and lipase supplementation can reduce lipid malabsorption and it maintains optimal levels of fat digestion. This leads to healthy cholesterol levels and an optimal cardiovascular health. It contains bioactive compounds (flavonoids, catechins) that improve health by reducing the formation of free radicals inside our organisms. Compounds such as caffeine and L-theanine from green tea improve and stimulate brain functions, also increase dopamine levels for a state of well being. Green tea extract boosts the metabolic rate, increasing fat burning and it also improves physical performances by mobilizing fatty acids from the fat tissue and making them available for use as energy. Antioxidants from green tea’s composition lower the risks of various cancer types including breast cancer, colorectal cancer, and prostate cancer. Green tea protects the brain’s health lowering the risk for Parkinson’s and Alzheimer’s and other neurodegenerative diseases. It improves dental health and lowers the risk for infections by killing bacteria and some viruses. 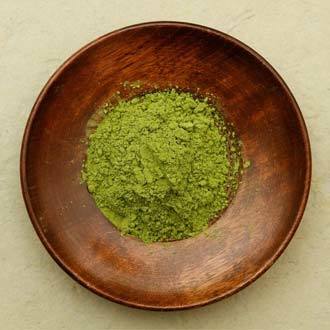 Green tea extract can lower the risk of type 2 diabetes by reducing the blood sugar levels. It reduces the risks of cardiovascular disease by optimizing the levels of cholesterol and triglycerides. It promotes healthy weight loss, and it lowers the risk of obesity by boosting the metabolic rate and decreasing body fat. 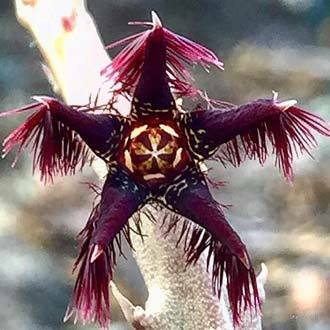 Caralluma can control the part of our brain called hypothalamus which is in charge of letting the brain know when we feel hungry or full. Caralluma can minimize the feeling of hunger and this way we will feel fuller by eating less, and we’ll also experience fewer cravings. The plant doesn’t suppress appetite in the same manner as other substances which only trick the brain into believing that the body is full; it also helps the organism to get the energy it needs from the ingested nutrients. Promotes weight loss also by fighting fat cells. The extract doesn’t allow pre-fat cells to develop and turn into fat cells properly and this happens because of a few enzymes from the plant. One of these enzymes can block Citrate Lyase which is responsible for producing body fat. Another component of the extract is Malonyl Coenzyme A which is also responsible for fat formation, and the extract also stops it. 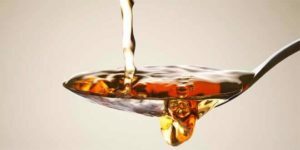 Since the extract can produce body mass, it also is very effective in fighting fatigue because less fat means less weakness and tiredness. According to studies, it can boost energy levels. Helps in diabetes and heart problems. Research has shown that Caralluma optimizes blood sugar levels and therefore is beneficial for people with diabetes. It can also regulate the levels of cholesterol from the blood and this way it can significantly reduce the risks of cardiac disease. The fatty acids Omega-9 from its composition are beneficial in case of health conditions which include arthritis, heart problems, and high blood sugar levels. The high levels of antioxidants from its composition will improve the general health of the body and will slow down the effects associated with the aging process. Nucific BIO X4 Side Effects. Is It Safe? 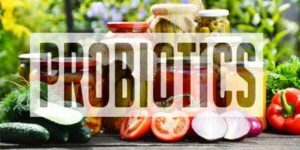 Most probiotics are known to cause unwanted side effects at the beginning of the treatment, mostly light stomach disorders such as nausea, gas, and bloating. However, these symptoms should pass quickly, as the body adjusts and users should be fine in a couple of days. Sensitive consumers might have stronger adverse reactions, and this is the reason for which the product should only be used with a doctor’s approval, and also it is not recommended for pregnant women and children under 18 years of age. Given the fact that Nucific BIO X4 is made up of pure ingredients and it’s gluten-free, allergen-free, and it doesn’t contain fillers, it shouldn’t cause severe adverse reactions. But it seems that probiotics can cause some allergic reactions, and even if this product, in particular, is free of allergens it would be a good idea that the customers show the label to their doctors before taking the supplement just to make sure it is safe and it is fit for them personally. The caffeine in the product’s composition may cause jitteriness, insomnia, headaches or increased heart rate but these are a common side effect of both coffee and green tea. 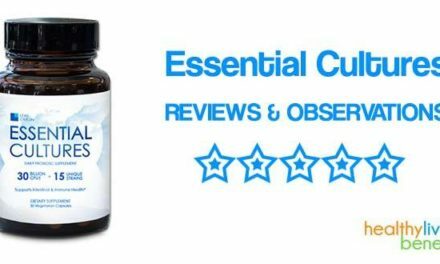 The only serious warning Nucific gives is that patients under antidepressant treatment should be cautious about using BIO X4 because it contains Caralluma Fimbriata Extract which may cause mood swings if combined with anti-depressants. BIO X4 could interact with the medication used for depression as it contains serotonin and the product may end up increasing the amount of serotonin in the body to high levels which could be dangerous. The official website of the product warns the users about this potential issue, therefore, it’s extremely important that patients who are under anti-depressant treatment to get their doctor’s approval before taking Nucific BIO X4. 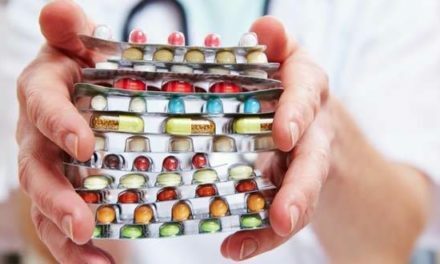 For the product to work properly, the manufacturer company recommends ingesting a pill three times a day for a total quantity of 39 billion CFUs. The supplement should be taken at every meal, and the effects will begin to be noticed in a period of 1 to 2 months of use. The product needs quite a long trial period to be properly evaluated, but as it comes with an extended money-back guarantee, this shouldn’t be an issue. Customers have 90 days to try the product, and if they’re not 100% satisfied, they can get a full refund. It is best if the product is purchased only from the official website. Bottom Line: Is Nucific BIO X4 Worth the Trouble? Nucific BIO X4 has a lot of ingredients with a great potential to help the body’s health as their benefits have already been scientifically proven. Therefore it should work for most users. The product seems to follow the guidelines of a high-quality probiotic, and its ingredients are beneficial for weight loss and also for the overall health. It’s great that the product’s label has been made available to the public and that the company is easy to get in touch with through email and phone, so we can conclude they have nothing to hide. The fact that BIO X4 is made in the USA is critical for most customers and the manufacturing company; Nucific seems to be off to a great start regarding its products and also the marketing approach. Another plus is the fact that the product packaging is made from recyclable materials. After a careful inspection of Nucific BIO X4 4-in-1 weight management probiotic, we’ve come to the conclusion that there are enough reasons for which BIO X4 has reached a position amongst the top rated supplements in today’s overcrowded marketplace. It’s a potent, pure and convenient supplement which seems to be able to help you with weight loss and to make you look and feel great.